One for all: retreat, meeting place, playground, jogging route or sports arena – the Park am Gleisdreieck has many different faces. 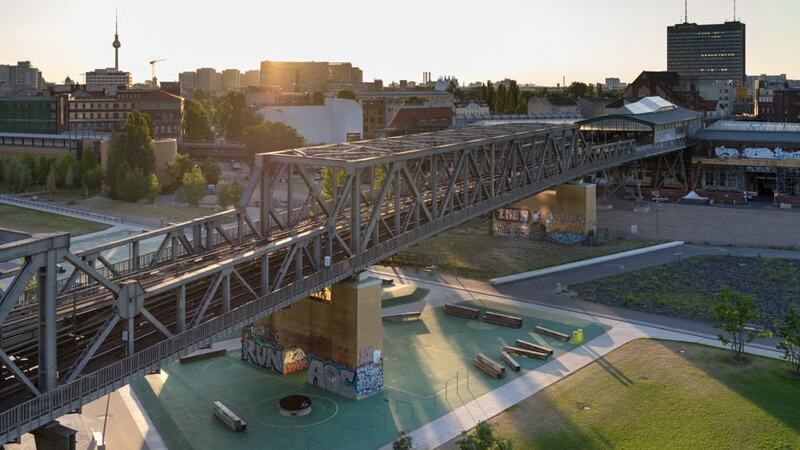 The western section of the Park am Gleisdreieck, which is loved by all generations, is right on the doorstep of the Urbane Mitte. 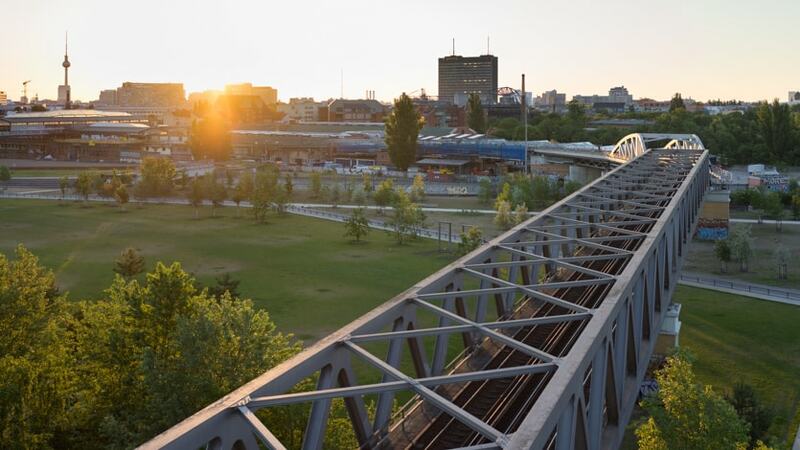 Around 31.5 hectares of green space and leisure space, spread across three sections of the park, have been linking Kreuzberg and Schöneberg since 2011. Step by step, the formerly overgrown brownfield site between both districts has been developed and landscaped. The eastern section on the Kreuzberg side opened in 2011, the western section on the Schöneberg side in 2013 and finally the so-called Flaschenhals (bottleneck) south of the Yorckbrücken in 2014. 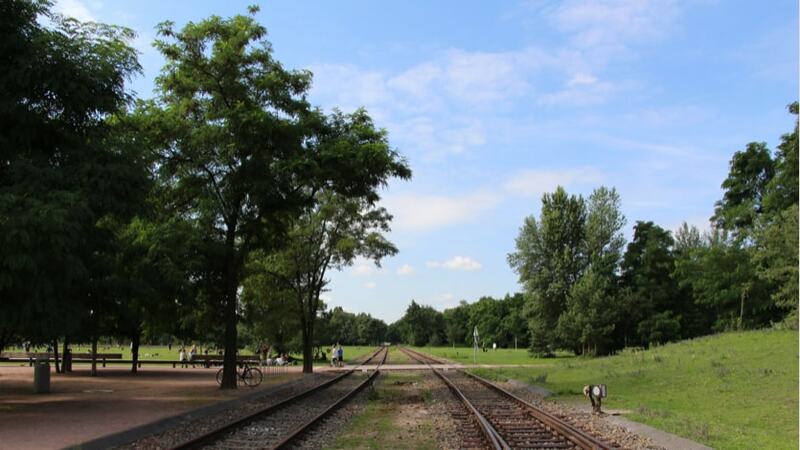 The park is ‘naturally’ divided by the railway line that runs from north to south. It is a truly wonderful park; a huge asset for the district. The leisure value is simply incredible. I like the clever mix of old and new. For me, the park has a model character for the development of all parks in Berlin. Vast green spaces are interspersed with play and sports areas; unspoiled wild areas alternate with gravel gardens or rose-scented gardens. Particularly when the weather is fine, skateboarders fly around alongside inline skaters and joggers. Children’s birthday parties and family outings are as much a part of the everyday scene as the football team or picnic group. Some early-morning sports enthusiasts immersed in their yoga exercises use the open spaces in the same way as the numerous trainer-led sports groups for fitness, Zumba or CrossFit training sessions. People out for a stroll enjoy the park’s diversity and cyclists appreciate the car-free route. Boules courts, table tennis tables and basketball courts give people who play sports for pleasure a wide range of options. The park has already won a number of awards since it opened. 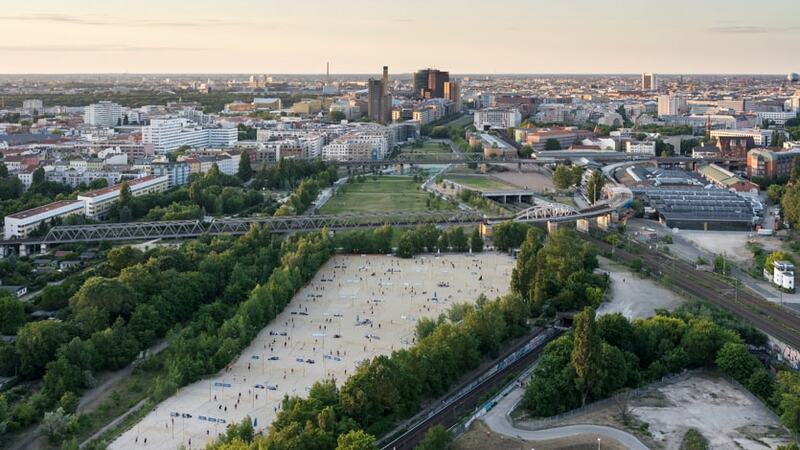 In 2013 it won the Berlin Architecture Prize, in 2015 the German Urban Development Special Prize and in 2015 the German Landscape Architecture Prize. The journey there wasn’t straightforward. 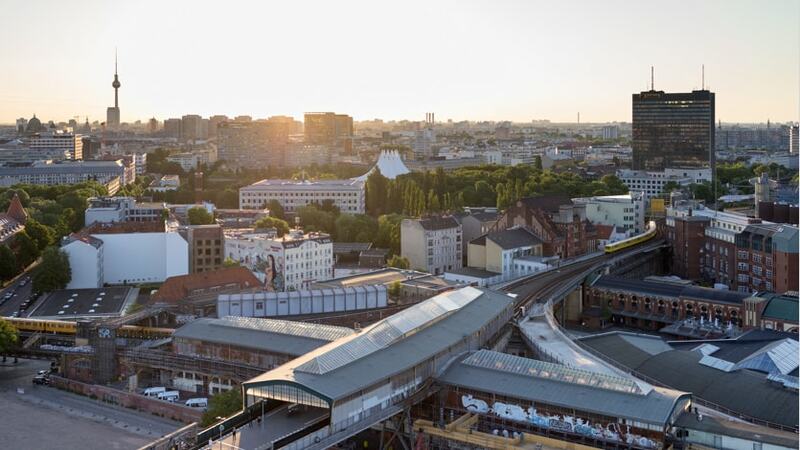 At the start of the previous century, the site was used for decades by passenger and goods trains travelling to and from Anhalter and Potsdamer stations. The area was badly damaged during World War II and was wasteland for a long time after. Wild vegetation spread across the site. A survey in 1980 recorded 413 different plant species, another survey three years later added ten mammals and 112 butterfly species. An enchanted beauty spot had come into being for birdwatchers and conservationists. In September 1997, the Senate Department first presented its concept for the development of the park, which envisaged a high level of citizen participation. 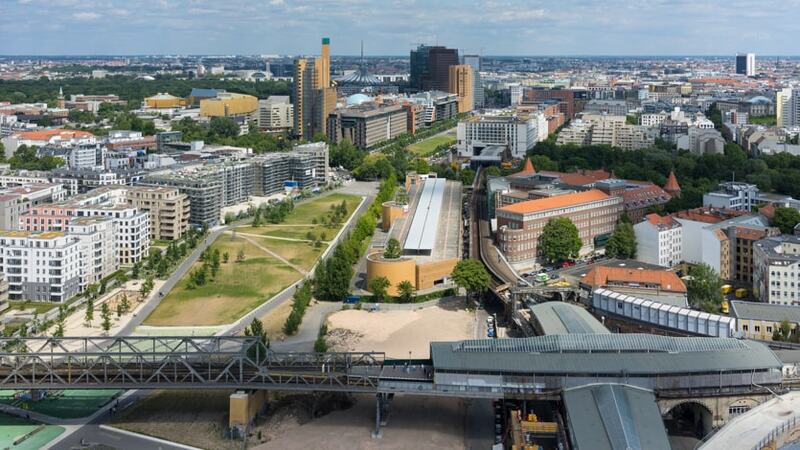 An urban development contract was agreed between the state of Berlin and Vivico, a real estate company that managed the railway property and oversaw its sale. In 2006, a competition was held as part of a multistage citizen participation process. The winner was Atelier Loidl with its design ‘The green pause in the city’. Among other things, the jury praised the design’s diverse landscapes, which created different atmospheres for different users. 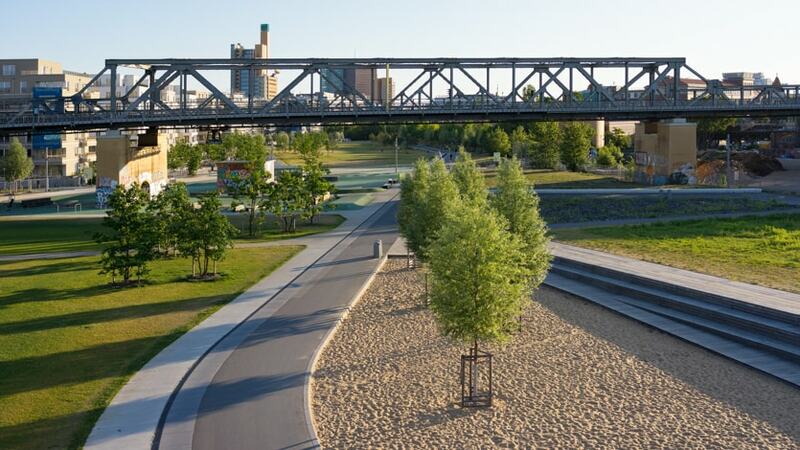 There is enough space on the Gleisdreieck site for intimacy and public life to coexist.